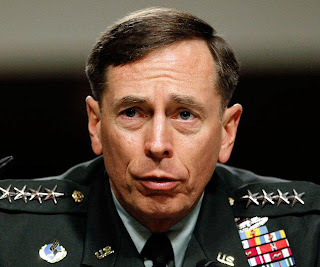 American Chief of Central Command in Afghanistan of American and Nato Forces General David Petraeus has said that Afghan War Is Very Difficult and Slow. General Petraeus Accepted in a TV Interview that we are facing very hard Situation in Different Provinces of Afghanistan and Taliban are still very strong. He said Afghan War is so slow like you are watching Grass Growing up. While Talking About Exit From Afghanistan he said Exit From Afghanistan will take place in steps and All Foreign Forces will not leave Afghanistan at same time. He said Exit From Afghanistan will start from July 2011 Next Year. While Talking About Terry Jones Announcement about Holy Quran he said it caused damage to American interests in Afghanistan and Increased hatred against us. On Question of Operation he said recently we done Operation in Marjah and now we are starting a new operation in Zhari.